Well fall has finally rolled into town. Temps down in the 40’s at night, high 60’s & low 70’s during the day. I am in the mood to bake again. 90 degree temps until the 3rd week in September + being back at school + marathon training = not really wanting to be in the kitchen (and no time). So sorry for the lack of blog posts. Now that things have settled into a routine, and marathon training is tapering, I’m hoping to get back into the blogging routine. I miss it, and I hope you’ve missed me too! Summer was hectic (lots of traveling) so I decided to take a little break from Veggie Staples, although I feel like I need a vacation from all of my vacation traveling! Do you ever feel like that sometimes? Well along with fall, pumpkin season is also back in full swing (and anyone that knows me knows I love my pumpkin). 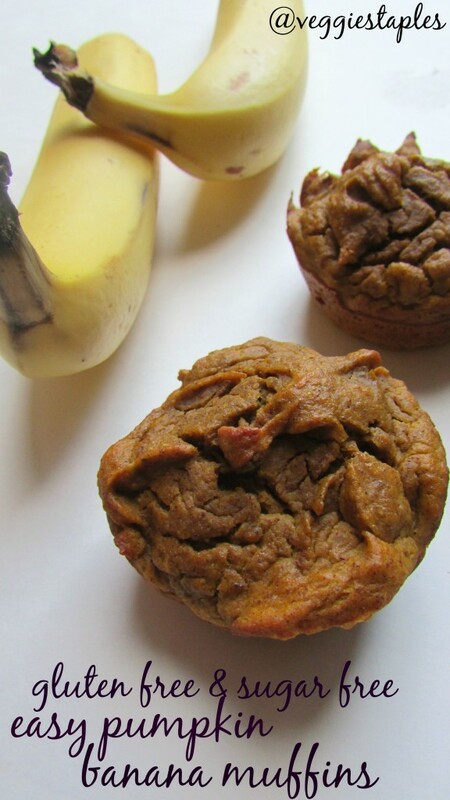 I had some mushy bananas in the bowl on the counter so I decided to whip up some pumpkin banana muffins – Zoey was into them! I love that she eats ‘regular’ food now, and I can make food or other treats like these muffins that she can eat! I made these for a baby shower – also a big hit! I know you will love them too! 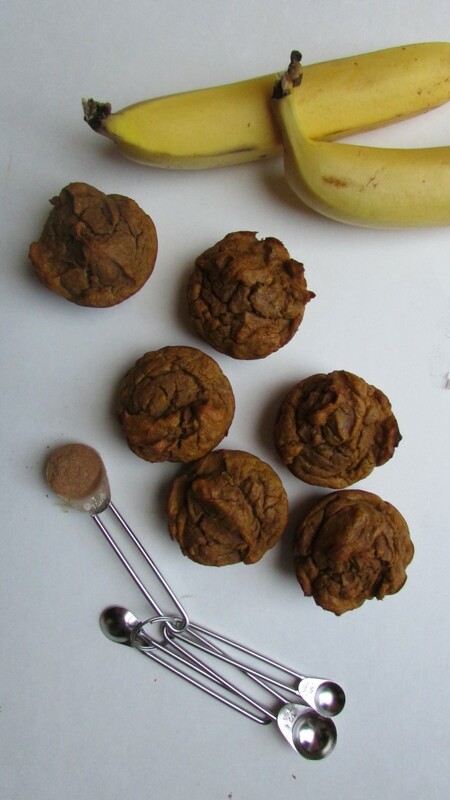 optional: 2-4 tablespoons stevia, or enjoy life chocolate chips!